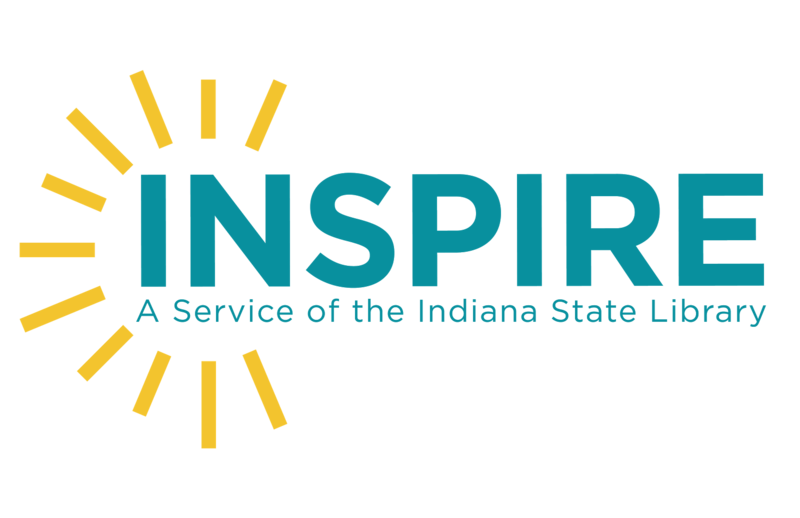 The Indiana State Library Regional Coordinators are hitting the road with a new “Train the INSPIRE Trainer” workshop. Want to help your patrons get ahead of the curve at work and in the classroom? Need help teaching your patrons about INSPIRE? No idea on how to start? Look no further! 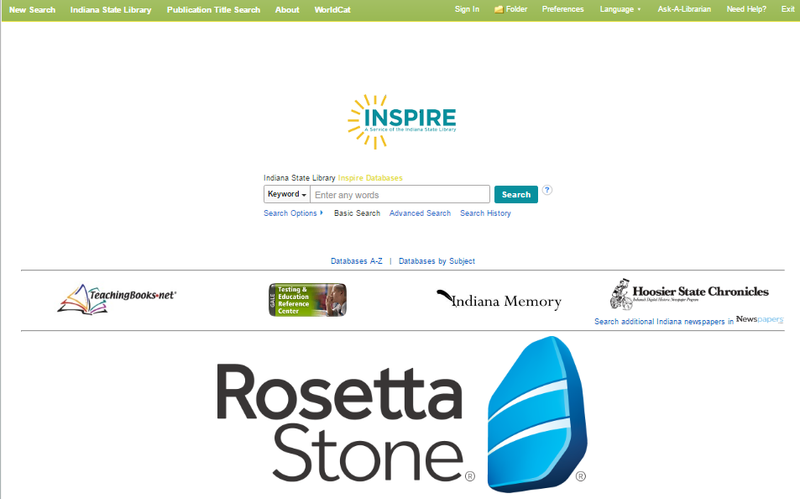 This hands-on training will give you the tools needed to teach your library patrons how to get the most out of INSPIRE – Indiana’s free virtual library. You will be provided with a basic PowerPoint presentation, sample script and lots of tips on how to adapt this presentation for many different groups. We want to empower you to train your patrons and students on INSPIRE. Prior to the training, It is recommended that you bring a laptop to this training and that you view the new, 32-minute Introduction to INSPIRE Webinar which can be found on our Archived Trainings page. Just watching the webinar allows you to earn 1 TLEU over and above what you will earn by attending the training. The webinar is available for anyone to watch. The trainings (listed below) are 2-3 hours and you will earn 2-3 TLEUs. Please find detailed information on each location by clicking on the registration link. April 24 – Noble County Public Library (Northeast region) – Register here. April 25 – Monticello-Union Township Public Library (Northwest region) – Register here. May 3 – Monroe County Public Library, Ellettsville Branch (Southwest region) – Register here. May 10 – Shelby County Public Library (Southeast region) – Register here. May 10 – Ohio Township Public Library – Register here. August 1 – Westfield Washington Public Library – Register here. 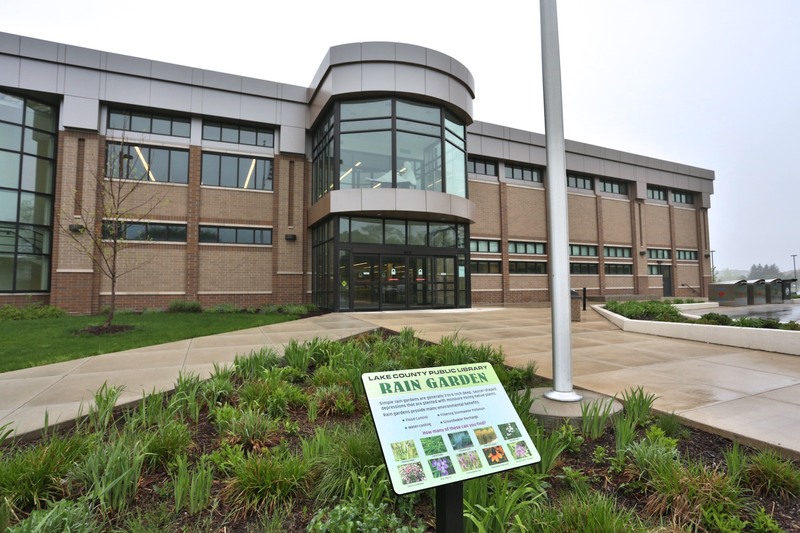 August 10 – Crown Point Community Library – Register here. October 11 – New Albany-Floyd County Public Library – Register here. 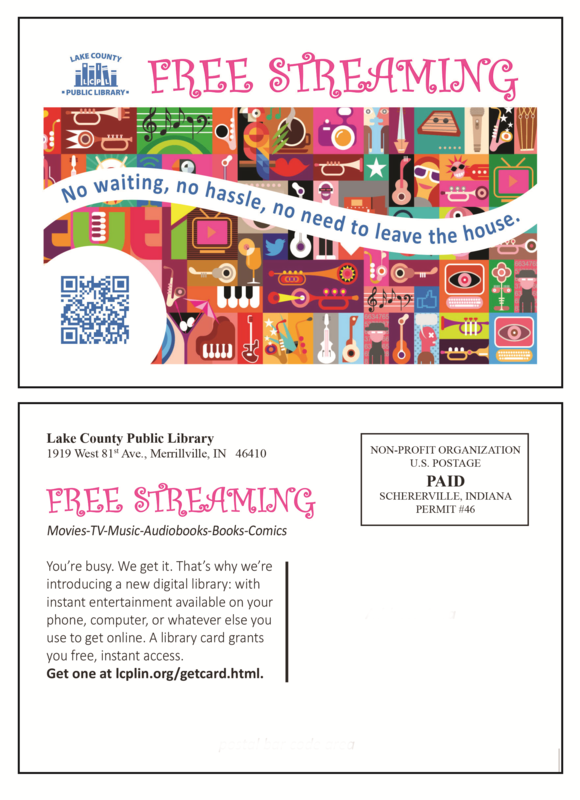 In the fall of 2016, the Lake County Public Library (LCPL) wanted to reach out to community members who did not have a library card. We believed if we promoted our digital library services to the 25-39 year old community, we would see more individuals in this age range sign up for a library card and then proceed to use the library’s digital resources. This age range is defined by young professionals and young parents who feel they do not have time to use traditional library services, but we believed they would be eager to use our digital library. LCPL wanted to send postcards to this group promoting the digital library, along with instructions on how to sign up for a library card remotely, but we weren’t sure how to identify individuals in this age range who did not have a library card. We overcame this issue by using Patronlink, a powerful library marketing, analytics and outreach tool that allows libraries to analyze and communicate with patrons and non-patrons alike. LCPL was able to upload and flag their current patrons’ records in Patronlink’s database of over 270 million individuals. Using the filter tools, we narrowed the file down to our service area and selected individuals who were 25-39 years old. Finally, we omitted current patrons from the list, giving us a list of all the 25-39 year-olds in our service area who did not have library cards. Taking it one step further, we wondered if the income levels of these individuals affected their desire to use digital services. We knew our service area covered two zip codes with similar populations, but with divergent income levels. LCPL decided to only send postcards to the individuals aged 25-39 in these two zip codes and look at the key performance indicator (KPI) to see which sample had more individuals sign up for library cards. The postcards were printed in-house and were mailed out at the end of September 2016. Around 3,000 postcards were mailed out using the post office’s bulk mail rate of $0.175 per postcard, for a total of approximately $525. Statistics were then gathered at the beginning of November 2016. LCPL proactively flagged the records of individuals who received a postcard, so when we re-uploaded our patron list we would be able to quickly identify the individuals who had both a “sent post card” flag and a patron flag. After analyzing the results, we determined 1.8 percent of households who received a postcard signed up for a library card, while some households had multiple people sign up for cards. We consider this a successful direct mail campaign, as a response rate of two percent is expected for these types of mailings. As for differing income levels, there was no statistical difference in the number of library card sign-ups in relation to income levels; everyone enjoys low-cost or no-cost options. For more information about the LCPL’s case study, contact Robin Johnsen, the library’s technology marketing specialist at rjohnsen@lcplin.org. Jennifer Burnison is the marketing manager for the Lake County Public Library. For more information about the Lake County Public Library, contact Jennifer at jburnison@lcplin.org. 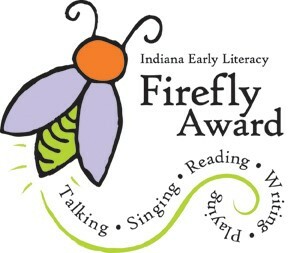 As the co-director of the Indiana Center for the Book (with the esteemed Christy Franzman of the Indiana Young Readers Center as the other co-director), I delight every January in working with other members of the Indiana Early Literacy Firefly Committee to finalize the ballot for the Indiana Early Literacy Firefly Award. In its third year, the Firefly Award strives to present a balanced ballot of high quality picture books that appeal to our youngest book enthusiasts; children ages 0-5. This year, I’m particularly excited that two books by Indiana authors are included: “Race Car Count” by Rebecca Kai Dotlich and “Best in Snow” by April Pulley Sayre. Both these books are quintessentially Indiana in two very different ways. 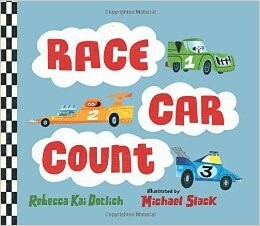 Dotlich’s counting concept book covers the exciting Indy-centric topic of motor sports, while never directly stating anything specific to the Indy 500. A fun addition is the back matter, where she introduces the reader to her cast of characters, a remarkably diverse cast, considering they are race cars. Sayre’s book, the only nonfiction book on the list, is illustrated by crisp photographs of Indiana wildlife and landscapes draped, frosted and dusted with snow. 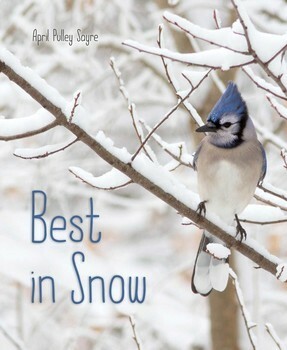 “Best in Snow” continues Sayre’s work of introducing science and nature concepts to young children in rhyming chant. Along with the two Indiana books, the 2017 Firefly ballot is rounded out by animals, music and interactivity. 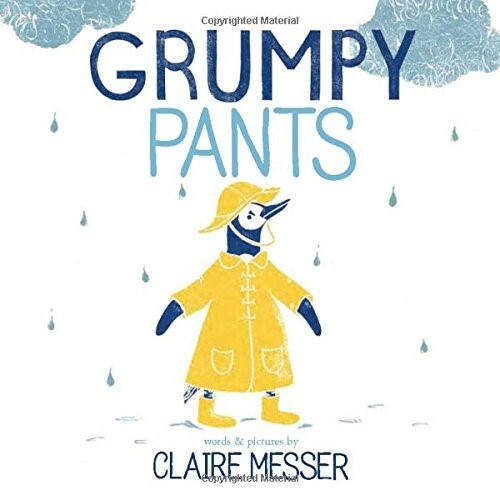 “Grumpy Pants” by Claire Messer shows children that even if they wake up feeling grumpy, they can be the boss of their own emotions and take actions to turn their feelings around. 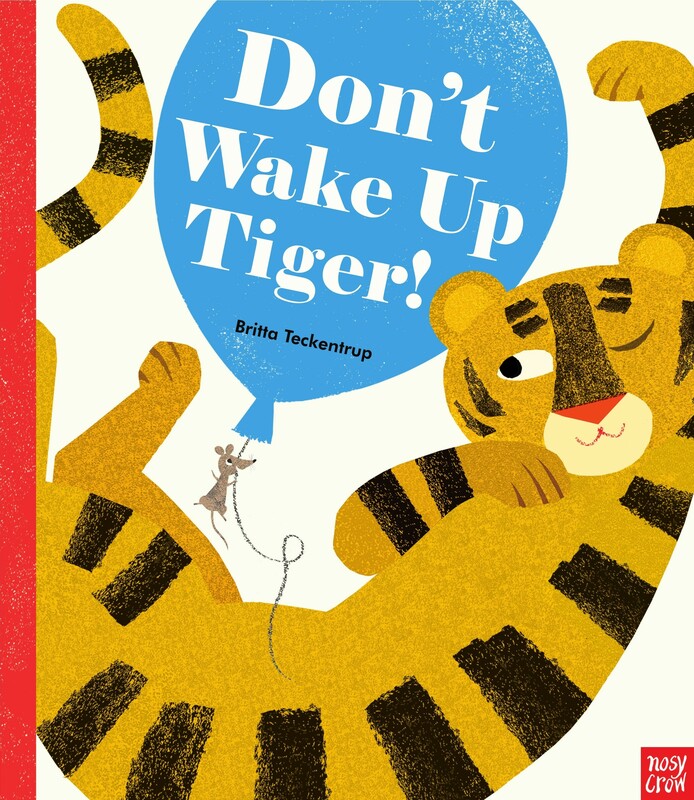 “Don’t Wake Up Tiger!” by Britta Teckentrup is an invitation to interactive play, as children are invited to pet, stroke and sooth Tiger to keep her asleep. 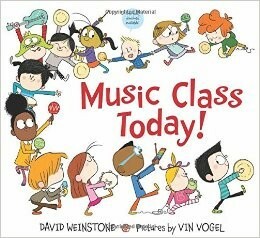 “Music Class Today!” by David Weinstone is the most diverse book on the list, picturing a mustachioed male guitar player leading a group of racially-diverse children and their care-givers in a rousing session of music class complete with rhythm and repetition. I want to encourage libraries in Indiana to collect these five books, present them to children ages 0-5, and their caregivers, and give the children a chance to vote on their favorite. Voting information can be found here and can be done in a variety of ways. Some libraries create little voting booths for this program and others just have the children vote by a show of hands. 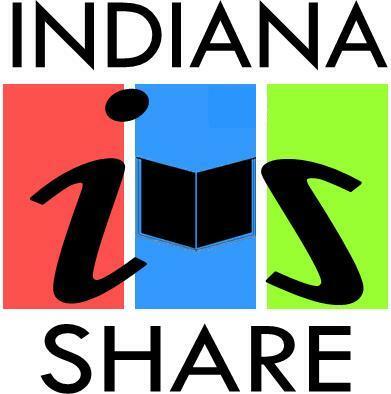 All library systems in Indiana will receive 15 copies of the ballot courtesy of TeachingBooks.net and are welcome to make more copies as needed or to print off additional copies of the ballot from the Indiana Early Literacy Firefly Award website. TeachingBooks.net has also partnered with us to collect some resources for each book to assist in programming and sharing. It’s an exciting time for the Firefly Award! Now begins the long wait through spring to see which book will win. Do you fancy yourself the next Perez Hilton? Well, this post probably isn’t for you then. However, if you are an Indiana library employee and you would like to write a guest blog post for the Indiana State Library’s blog, the floor is all yours. 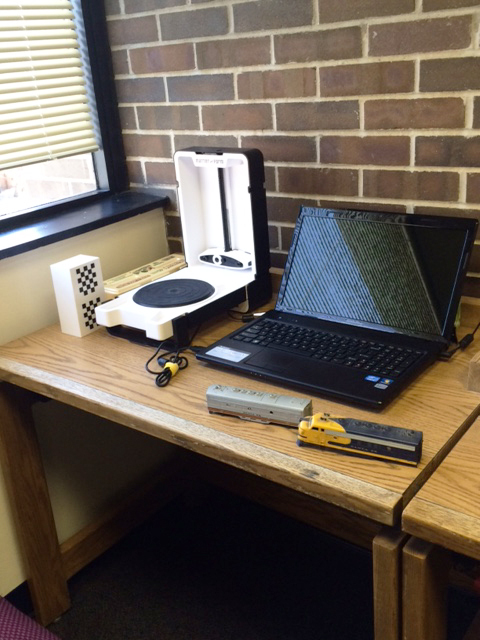 Is your library opening an awesome new lab? Are you booking a big-time guest presenter? Would you like to illustrate the day-to-day operations of your bookmobile? Have you successfully executed a social media campaign? I want to hear from you. Because libraries cover such a wide range of duties, the possibilities are endless. The state library is unique in the fact that we provide services to state government employees, house very specialized collections and help develop and train librarians all over the state. Therefore, we don’t necessarily function in the same way a traditional public library functions. Of course, we are opened to the public, and provide some of the best genealogy and Indiana-related resources in the state, but we’ve never suffered a mad rush when a new “Harry Potter,” “Twilight,” or “Hunger Games” book was released. Our friends a few blocks away at the Indianapolis Public Library are the experts when it comes to handling popular new fiction releases. As the communications director here at the state library, moving forward, I’d like to offer libraries from all over the state a chance to have their say. We’ll also be highlighting more of what the state library does in this blog, by featuring blog posts from members of our Professional Development Office (PDO) and Library Development Office (LDO) in addition to continuing to bring you posts by all of our divisions, such as genealogy, rare books and manuscripts and talking books and Braille. So, if you have a topic you’d like to cover that appeals to other librarians, library patrons or both, feel free to get in touch with your idea via the email address below. Just remember, no celebrity gossip. This blog post was written by John Wekluk, communications director, Indiana State Library. For more information, email the communications director at communications@library.in.gov. The Indiana State Library (ISL) and the Indiana Department of Natural Resources (DNR) have agreed to extend the Annual Parks Pass Program for one more year. The passes will be sent to libraries as soon as they arrive in January. ISL is thrilled to partner with DNR to continue to offer this program. ISL is purchasing one pass for each public library in every library district. Passes are limited to one pass per building and libraries may purchase additional passes through the DNR site for individual branches. The passes are non-transferable and DNR is again allowing libraries exceptions for these passes. The passes can be checked out by library patrons and will provide access to Indiana’s 32 state parks and also to Indiana’s state forest recreation areas where entrance fees are charged. This year, DNR would like libraries help to get direct feedback from the users of the passes. A user survey will be posted on ISL’s site so that libraries may print as needed. Libraries should send completed surveys to Wendy Knapp through InfoExpress throughout the year. 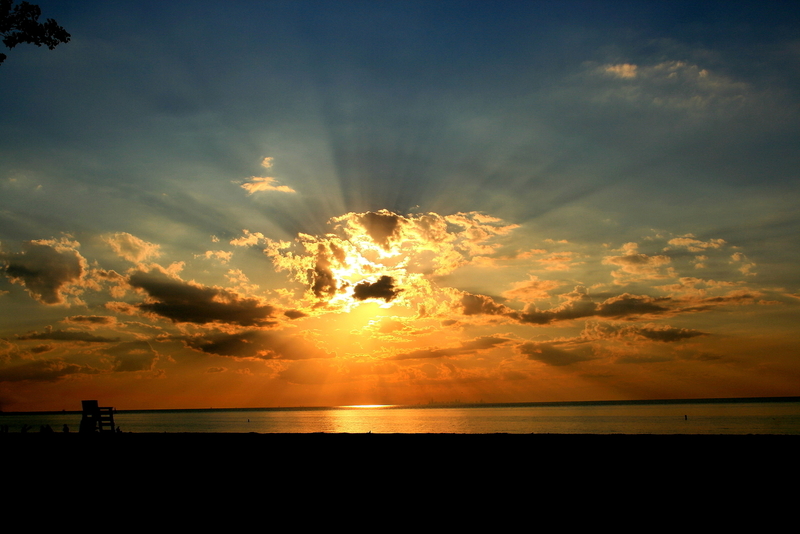 For more information on Indiana State Parks, please visit the DNR’s state parks page. After doing a presentation at the Indiana Library Federation (ILF) conference this this year, I thought I’d try to answer many common questions and considerations that a collection developer might face when considering circulating video games. First, the Alexandria-Monroe Public Library does not circulate consoles. Your average console will run you anywhere from $200 to $450, or so, and consoles do not operate like they did several years ago. They are now essentially computers with proprietary operating systems. They usually require games to be installed off of the disk and often have game patches that need to be downloaded. 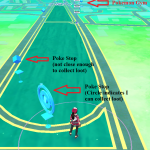 They are also usually tied to an individual’s game account (e.g. a PlayStation Network account or an Xbox Live account). Therefore, the console itself usually contains some level of personally identifiable user information. It would be a bit like circulating laptops to people to take home for days at a time and allowing them to be able to install software on them at their own discretion. This is not to say that you couldn’t circulate game systems, we just feel that the cost and other challenges/logistics make it more trouble than it’s worth. Just last week, however, we did purchase a PlayStation 4 (PS4) and an Xbox One S for use in the library and for programming; a practical option for us. Second, we currently purchase primarily for PS4 and Xbox One, with the increasingly rare purchase of a PlayStation 3 (PS3) or an Xbox 360 title. The reason for this is that both the PS4 and Xbox One were released in November 2013, which means that PS3 and Xbox 360 systems are at the very end of their lifecycles and are getting very few new title releases now. The Nintendo Wii was replaced by the Wii U in December 2012 and the Wii U was extremely commercially disappointing with abysmal adoption rates. In fact, Nintendo is releasing their successor console, Switch, in March of 2017 partly because the Wii U was such a failure. All that being said, our collection contains PS3, PS4, Xbox One, Xbox 360, Wii and a small handful of Wii U games. The games for the older systems do still circulate, so we’re not in a hurry to weed them out, but at the same time I’m interested in putting funds toward current generation games as opposed to previous generation games, especially since backward compatibility is non-existent or limited. For example, PS4 will not play PS3 games and Xbox One can only play a number of Xbox 360 titles. However, the Wii U will play Wii titles. We do not currently purchase for the Nintendo 3DS or PlayStation Vita handhelds, as their media formats are small cards, not unlike SD cards, which makes them a bit more difficult to secure. The systems we do collect for use disk-based media, so they’re very easy to secure using standard lockable cases; the type we use for DVDs. You could collect for handheld systems depending on how you plan the logistics. Some libraries do circulate handheld systems and their accompanying media. Third, we collect games of all ratings. 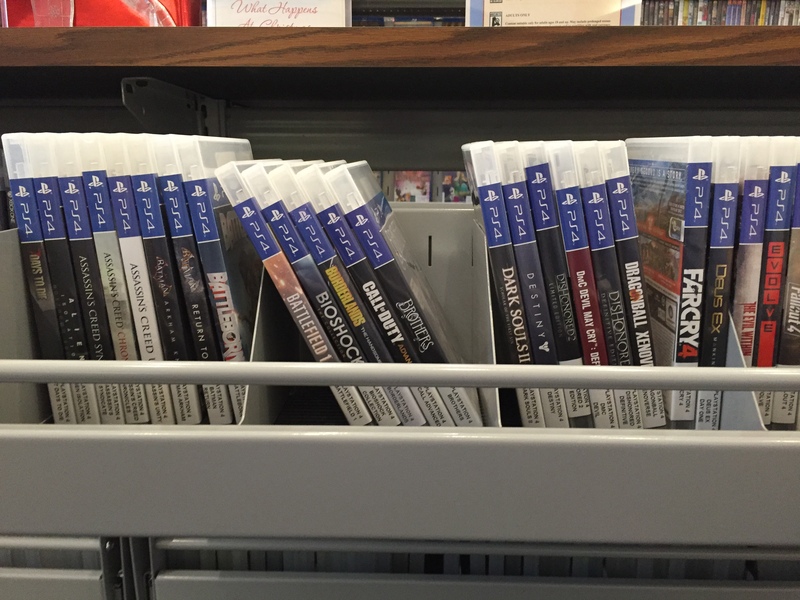 Some libraries, for example, opt not to collect games rated M (mature), which I feel is based on the misconception that “video games are for kids.” According to the 2016 Entertainment Software Association report on sales, around 75 percent of gamers are over the age of 18, with the average age of gamers being 35. An ESRB M rating is akin to the MPAA’s R rating for movies. The ESRB also has the AO (adults only) rating category, which is akin to an MPAA NC-17 rating, but just like the movie rating, you really never see any games that come out with an AO rating. Since their inception in 1994, ESRB has rated about 30 games as AO and all have been released on computer, not consoles. The report also notes that female gamers make up 41 percent of the game playing community, so it truly is a medium that is consumed by all public age and gender demographics. Our collection practices try to reflect the demographic makeup of the gaming community. Finally, your collection decisions regarding title purchases and the number of formats you’ll support will rely heavily on your gaming collection budget. Games typically retail at $59.99 on release, and depending on popularity, will start to drop significantly in price over their first six months, usually settling around the $20 to $30 price point. PS4 currently dominates the console market in regards to number of titles released and number of consumers who have purchased a console, though Xbox One is a close second. Each brand has their own exclusives (e.g. Mario and Pokemon games for Nintendo) as well as versions of multi-platform titles (e.g. “Call of Duty”). I try to purchase very well-known titles/franchises at launch while waiting for less anticipated titles until the price drops a bit. It’s not unusual for the console companies to release around four “must have” titles in any given month. Some times of the year see heavier launch lists, particularly during the fourth quarter holidays. I will generally purchase those titles at launch. Additionally, many games are offered in “special editions,” as well as a “standard edition.” Most of the extra game content released exclusively in a special edition is in the form of a redeemable one use code. So, for circulation purposes, it’s usually best to purchase the standard edition. Bonus content tends to be digital downloads in the form of a code tied to the user’s game account, so it can be safely ignored. Efficient collection development of games generally requires a decent level of familiarity with the gaming landscape and the big franchises, so collections usually benefit from frequent game journalism research. That being said, big titles are often announced far in advance of release, so it’s possible to build a wish list well ahead of time and tweak it as release dates change or as previously un-hyped, but worthwhile, titles are released. 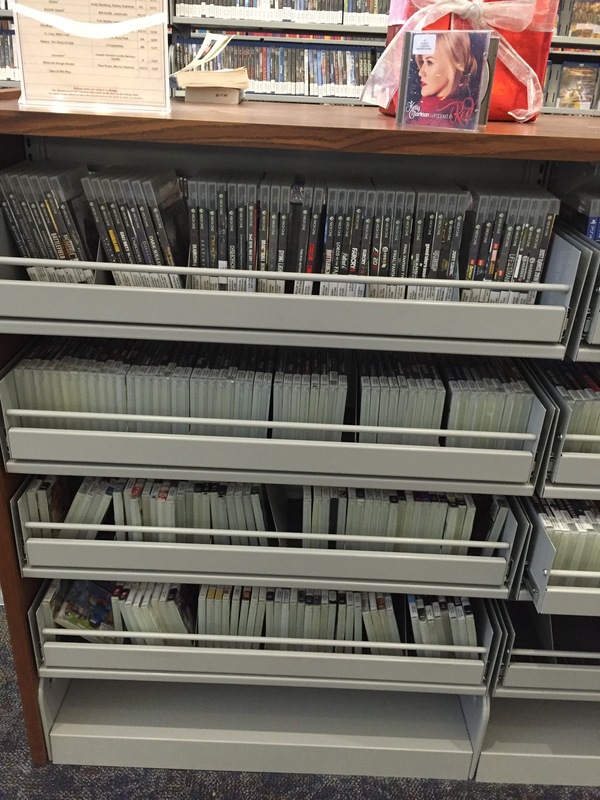 I think this post should give you a good foundation for starting a video game collection in your library. Video games have been an extremely popular collection for us. We service a community of about 8,000 people and typically our monthly game circulation is about 600. We let patrons check out up to three games at a time with a one week loan period and we allow one renewal. My budget for 2016 was about $6,000 and will be about $7,500 for 2017. You can view the documents relating to my ILF presentation here and let me know if I can answer any questions. Good luck! Eric Fisher is the assistant director of the Alexandria-Monroe Public Library. 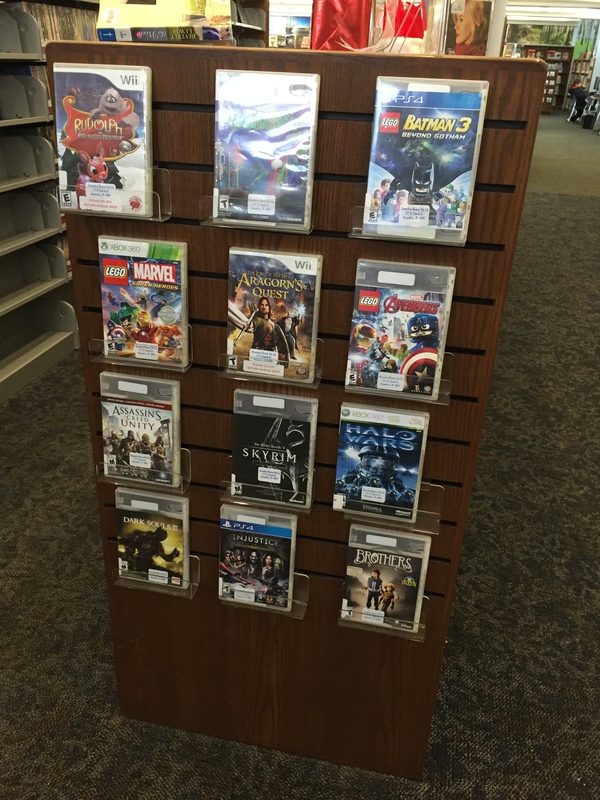 For more information on video games in your library, contact Eric at efisher@alexlibrary.net. These days in the Information Sciences community, we hear a lot of buzz surrounding the phrases open source, open information, and open access. Northwest Regional Coordinator Kimberly Brown-Harden recently had a conversation with Automation and Serials Manager Rhonda Mullin from the Westchester Public Library in Chesterton, Indiana. They discussed Westchester’s innovative MakerSpace Lab and the impact it is having on both patrons and the library. Kim: Can you give me some background on how the program was created?